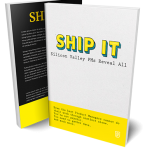 With most of us buying our stuff online, PMs need to know how to build successful ecommerce platforms. Learn with Atlassian Head of Product Brendan Foley how to take the right steps. Brendan Foley is an experienced PM. As Atlassian Head of Product Management, he has collected many useful insights into the complexities of online market platforms. Learn how to apply product management to ecommerce, across multiple platforms and emphasizing user personalization. You have to pick the right solution for every step of the funnel (and it’s not easy!) Introduce ecommerce to your strategies with this talk! Brendan Foley is the Head of Product Management for the ecosystem business at Atlassian. Prior to Atlassian, Brendan was a Divisional VP in Product Management for ecommerce at Sears. Earlier, he held leadership product management and planning roles at Microsoft in digital advertising and enterprise software. 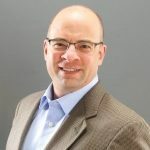 He has a successful track record of delivering software, services, and online experiences in consumer and business sectors. How do you shape a customer’s experience, from their first encounter with your marketplace, to the checkout moment? There are some basic considerations you need to know before you embark into ecommerce, such as product personalization and mobile design. Then, according to Brendan Foley, you must internalize a series of “keys to success” in the product management, research and data/metrics phases. Learn how to integrate them in the video below! “We have a big conversion challenge with mobile. 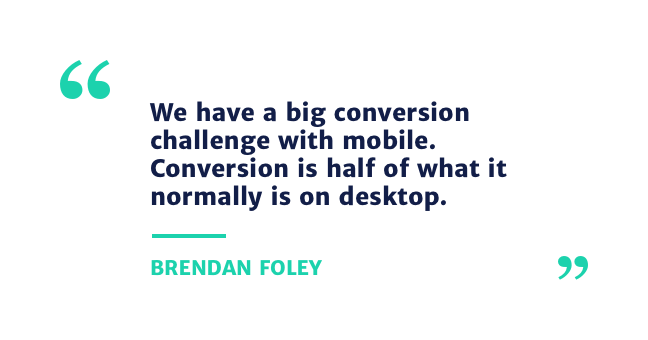 Conversion is half of what it normally is on desktop”. An ecommerce product is no different from a regular one. However, you need to ensure that users travel faster through the funnel (SEO->Product Pages). Maximizing average order values and encouraging repeat visits are fundamental. There are many differences between B2C and B2B ecommerce that you need to consider. For starters, B2B is much more complex: discounts can be negotiated, orders adjusted, etc. However, there is more growth potential in this market. Personalization is a must. Based on the implicit (time on page) and explicit signals (questionnaires) you collect, you must design places adapted to user preferences. This applies to hero ads, search autofill, offers, etc. Finally, remember that mobile design comes first. This implies much more than responsive web design. Your buying options must be simplified, quick and cross-device. Location-awareness is essential. How does the entire experience support the value proposition? Use your ecommerce and your competitors’ experience with product marketplaces. UX research must be conducted frequently: habits & practices, concept and experience testing. A/B test frequently: Control vs. Experiment. Other relevant data: heat maps, customer paths, load times, logged-in vs. not logged-in, average selling price per units per transaction = average order value.